Quantum Break taught Remedy Entertainment a series of hard lessons. The ambitious original IP combined action gameplay with live-action TV episodes that changed depending on choices made in the game, which dramatically ramped up production time and costs. It was also exclusive to Microsoft platforms when it launched in 2016 which, being a second-place platform, didn't help it sell well enough to warrant a sequel. The latter is in part due to the Finnish developer's long-running collaboration with Microsoft. After Alan Wake proved to be a hit (although, again, not enough to warrant a full sequel), work on Quantum Break began at a time when neither the Xbox One nor PlayStation 4 had been released. With Xbox's strong performance in the previous generation, plus Microsoft's original plans for a TV-infused strategy with its next console, it's understandable why Remedy maintained that relationship. 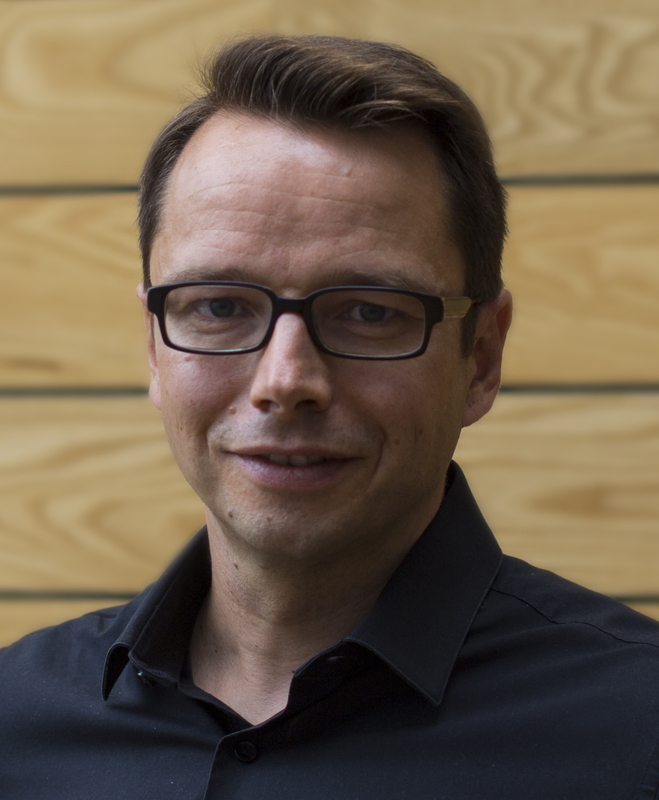 Nevertheless CEO Tero Virtala, who joined just a few months after the launch of Quantum Break, is disappointed the studio hasn't be able to follow up on all the effort put into that title. "You always learn on every aspect, definitely on the creative side," he tells GamesIndustry.biz when we meet at E3 2018. "But maybe the biggest lessons were on the business and production side. We can create excellent games, but the type of games we do with an immersive world and characters, memorable stories - those are typically building blocks in any entertainment business for franchises that could live for a long time. And now for the second time being in a position where we had done all that groundwork and then there was not a possibility to continue those stories... we didn't want to face that again." With Microsoft holding onto the publishing rights for Alan Wake and the Quantum Break IP, Remedy has been determined to retain ownership of its upcoming 'Project 7', unveiled at last month's Los Angeles expo as the fittingly-titled Control. The game is a supernatural action adventure set in the mysterious building known as the Oldest House, the official headquarters for the Federal Bureau of Control. Shown only via a surreal teaser trailer during PlayStation's press conference, Control was further demonstrated with a behind-closed-doors preview of the gameplay. "Being in a position where we had done all that groundwork and then there was not a possibility to continue those stories... we didn't want to face that again"
At first glance, it seems similar to past Remedy titles, with heroine Jesse even showcasing abilities reminiscent of those seen in Quantum Break. But the bizarre happenings within the Oldest House, the transforming environment, and the promise of less linear gameplay indicates Remedy is trying something very different. But, the CEO insists, the team has not lost any of its flair for storytelling - and that's going to be crucial to establishing Control as more than just a Remedy one-off. "If you want to create a memorable story, it's not just a story," he says. "It's the characters, their background story, their motives, and the locations. In order to create these worlds, characters and stories, it's a huge investment of really high quality people that are really hard to find and those typically provide a basis for long-term franchises, long-term brands in which you could put multiple games. "Considering our history... Alan Wake was really interesting but it was a collaboration with Microsoft. Due to certain reasons, it never got a sequel. Quantum Break, also, we put a lot of effort into creating the world, the characters, the stories, but still it was Microsoft IP. They decided not to take it further. If we owned the IP, it's fully in our hands to decide how we create it, how we develop, what are the creative decisions that we take? And then maybe one day in the future, if it proves to be successful, it's again in our hands to decide what will be done. That was important for us." 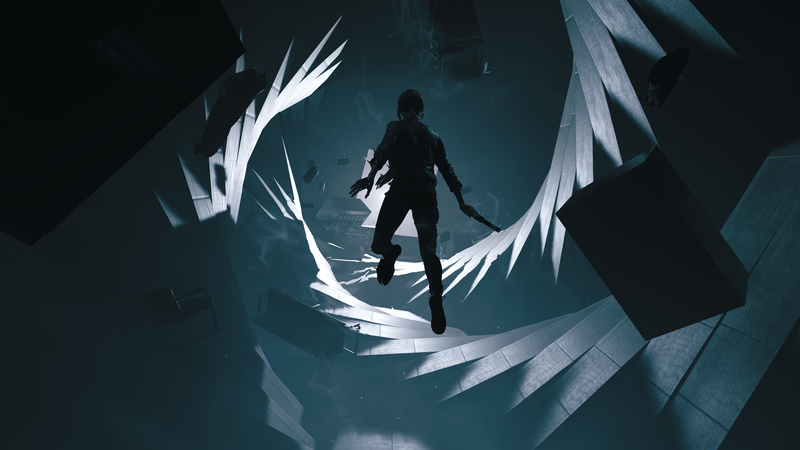 "If a player sees our game, [and] intuitively he or she is not able to compare it immediately with another game, then we have succeeded"
The gameplay demo for Control is certainly impressive, and hints at a compelling and unique fiction from Remedy - perhaps their most unusual to date. While so many games (particularly at E3) have familiar settings, whether real-world or a mix of familiar fantasy elements, there is something unnervingly unorthodox about the Oldest House's brutalist architecture and shifting strucutre. In fact, the closest comparison we can make is Hideo Kojima's Death Stranding - if only in that it's not overly clear what's happening to someone who knows nothing about the game. But Virtala assures us all will become clear in time. "It's a Remedy game," he says. "It's from our creative people who think about what type of stories they would like to tell and what type of games they would like to create. There is a meaning behind it all, and supernatural elements play a role there. All that you see in the game, eventually it will turn out there is a clear reason for that. That's the driving factor in what type of game we want to make, what's the game we're creating. That decides the location and artistic style we are creating. "[In the console space] so many games are coming out, but there are only a few games an average gamer can play, so we feel that in order to succeed it needs to be super quality but also needs to be different. We say that if when a player sees our game, intuitively he or she is not able to compare it immediately with another game, then we have succeeded." But if you're unable to immediately compare Control to any other title, surely that increases the risk - especially as it's a new IP? Consumers need those familiar touchpoints so they know what they're getting when they invest in a new purchase. "Well, we do have gunplay, we have loadouts, we have supernatural abilities," Virtala says. "If players look at our game they will see features they see in other games but we hope that the entity somehow sparks the imagination of the players and creates interest, and looks somehow fresh and different." "Now we have in our hands an IP that we own, we definitely want to bring it to as wide an audience as possible"
It's the first time Remedy has owned a major IP since the original Max Payne games, which were later picked up by Rockstar Games. Virtala, of course, was not present at the company when such a deal took place, but even today he understands why the firm made that decision. "Remedy was a completely different company back then, 15 years ago," he says. "It was a team of 20 to 30 people who had created this massive success. Selling the IP was a significant business deal and that provided so much freedom for the company for the years to come, so I think it was a really smart move." For Control, Remedy has teamed up with a different publisher. While Microsoft's ambitions to bridge the void between games consoles and TV aligned with Remedy's plans for Quantum Break, the growth of 505 Games speaks to the Finnish developer's own desires to fortify its future. "We want to be the best studio in creating certain types of games and that's where we focus," says Virtala. "We have business understanding, we have competencies that can help in commercialising those but we know there are good publishers that are so much stronger and have a wider competence base on the marketing side, on the community side, on distribution, on sales and so on. 505 Games proved based on all the discussions we had that they understood what we are looking for strategically. They had the same intention as us. It felt like a good combination and has proven to be." Most notably, the partnership with 505 opens up the possibility of reaching that market-dominating PlayStation audience. For 15 years, Remedy has, by nature of its partnership with Microsoft, been restricted to PC and Xbox devices, but Control will be the firm's first truly multi-platform release since 2002's Max Payne 2. With close to 80 million units sold, the addition of PlayStation 4 to its distribution puts Control in good stead to far outsell previous Remedy titles - hopefully to the point where the studio can finally justify creating a sequel. "The business needs to be well run and systematically run," Virtala concludes. "It should be profitable so that we are able to sustain and be there for a long time in the future and continue investing in our people, our games and our technology. "Now when we have in our hands an IP that we own then definitely we want to bring it to as wide an audience as possible, so it made sense. [Multi-platform] was a natural next step for us." Looks like a cool setting, I like the look of the main character, and the fiction of the world, the dystopian future. Of course, bullet-time and explosions are always welcome. The gravity based object manipulation doesn't look especially "fresh" or as original as Remedy are maybe thinking it is...? But it also looks fine and good. I'll admit that it's hard to come up with really fresh new exciting looking mechanics, while also remaining accessible and approachable, and being immediately intuitive on a console gamepad. So... yeah! But I like the idea of Remedy "going indie" and having total freedom to make this thing into whatever they want, following their gut as they go along, and being able to make it into something really great (and also following it up with inventive spin-offs in whatever format they see fit). All the best! Can't wait to see it!